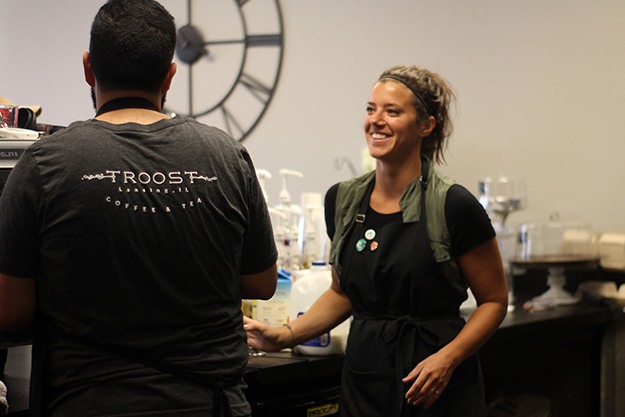 Troost Owner Renae Kooy and staff member Suhail Abbasy serve Lansing coffee and comfort. LANSING, Ill. (July 2017) – For Renae Kooy, coffee is more than a caffeine boost, and Troost is more than a name. 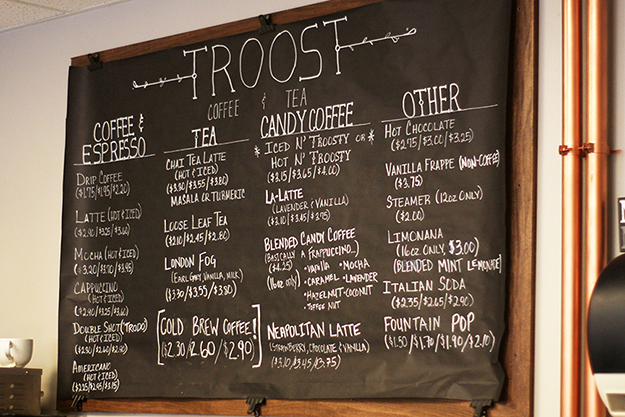 The Lansing native recently opened Troost Coffee and Tea downtown, on Ridge Road and Roy Street. 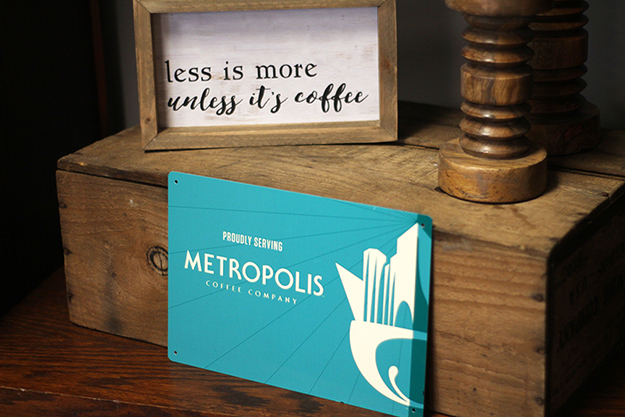 From its location to its menu, and even its furniture, Troost is not just Lansing coffee—it’s Lansing community. “I care a lot about the people here,” says Kooy. 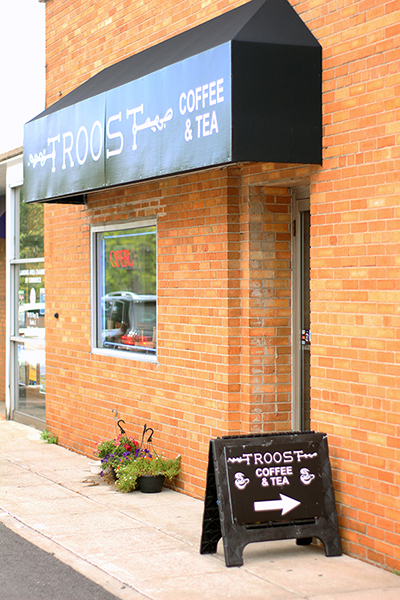 The groundwork for Troost was laid long before Kooy opened the Lansing coffee shop. Many of her memories growing up include coffee—it plays a part in many of her relationships, which she describes in detail on the Troost website. “Coffee has never been about staying awake for me; it’s been a tradition, a sign of welcome and belonging, something dependable, an impetus for pause during a busy day—a true comfort,” she writes. During her college years in Chicago, she developed not only her love, but also her knowledge, of coffee. “The coffee options are endless, and really good quality,” she says. But in and around Lansing, the choices are mostly Dunkin Donuts or Starbucks—all chains, nothing unique or local. When Kooy found the space on Roy Street, in downtown Lansing, it was exactly what she was looking for. The Todd family, owners of Mancino’s, are the owners of the building. In the process of opening Troost, Kooy focused her efforts locally. Troost was financed by First National Bank. The Troost t-shirts came from Lansing Sport Shop, and Kooy got some of her building materials from Ace. She repurposed old furniture from the Lansing Public Library as Troost seating. “I wanted to support Lansing in even the details,” she says. Troost is the Dutch word for comfort. And when Kooy made her plans to open Troost, she wanted something that would be comfortable for all of Lansing. The Troost staff is crucial to its atmosphere, and the building wouldn’t be what it is without the help of Kooy’s very dedicated family. The Troost menu and decor are partially inspired by the staff’s backgrounds, their personalities, and their travels around the world. Kooy spent time in the Netherlands; hence, the name of the Lansing coffee shop. But she’s also been in Israel, where she had “non-stop limonanas.” Staff member Katie Copley lived in Slovenia, so the photos in the shop are from her time there. Staffer Suhail Abbasy is the mastermind of the shop’s signature “Troosty.” He’s Jordanian and is the inspiration for the Carda-yum, which features cardamom, a spice popular in Arabic coffee. Per its mission to serve all of Lansing, Troost has a range of offerings outside its coffee menu. “We have tea—I feel like I always forget to mention that,” laughs Kooy. There’s also a variety of caffeine-free options, like the hot chocolate, Italian soda, and a vanilla frappe. And their punch cards mean that whatever you choose to drink, the 10th one is free. To go along with the drinks, Troost sells baked goods like homemade stroopwaffles, cinnamon rolls, and cake pops. Lansing resident Rita Wario was in Troost for the first time on a Friday morning. “It’s a mix between cozy and modern,” she said. She sipped her lavender and vanilla latte—the LaLatte—in the kids’ room, while watching her two children play. She also bought a cinnamon roll, but she didn’t get to eat much of it: “My son liked it!” she said. The Troost meeting can be rented for $10.00 an hour. 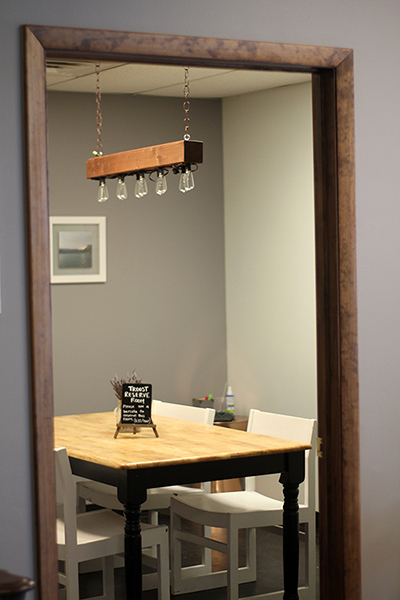 Another popular space is meeting room, which is available for $10 per hour. 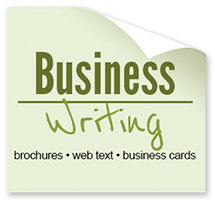 Local businesses have rented it to conduct interviews. A Dutch Culture group and the National Honor Society each rented it for a meeting. Middle school and high school groups have also rented the room for their weekly Bible studies. Troost has already witnessed a couple big events for its owner—Kooy’s nephew crawled for the first time in the kids’ room, and her fiancé proposed to her at the shop as well. Plans for the future of Troost include new menu offerings—like the breakfast sandwiches, starting in the fall. Eventually, Kooy would like to open late for music performances, but details for that haven’t been worked out yet. Right now, Troost is open 7:00am–6:00pm, Monday through Friday, and 8:00am–5:00pm on Saturday. Troost has already featured live music at Cruise Nights, and they provided coffee during the LOOP bike ride. The Troost team will likely take part in any other community events that pop up as well. Troost is located at 18155 Roy Street and is open 7:00am–6:00pm Monday–Friday, and 8:00am–5:00pm on Saturdays. 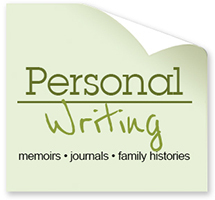 Lansing, Illinois, has a lot of great stories like this! 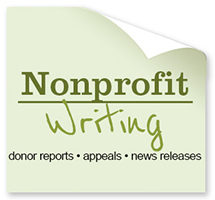 Visit TheLansingJournal.com to be notified as progress develops on a newspaper for Lansing…. Great place, great coffee and great people!!! Thank you for bringing Lansing a place that fits right into our community! You guys are awesome!! Looking forward to the new additions!!! Good for you Ranae and good for Lansing. 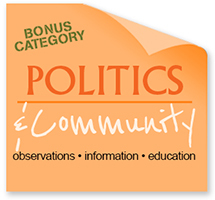 More people should think community. We are all part of a wider circle. I’m so proud of Renae Kooy, and her team. You’re all wonderful. and Thank you for always helping me out on what my drink of the week will be.? We had the pleasure of visiting Troost recently and loved the experience! The coffee was great and the atmosphere was soothing and lived up to the name of the shop. We can’t wait to go back.